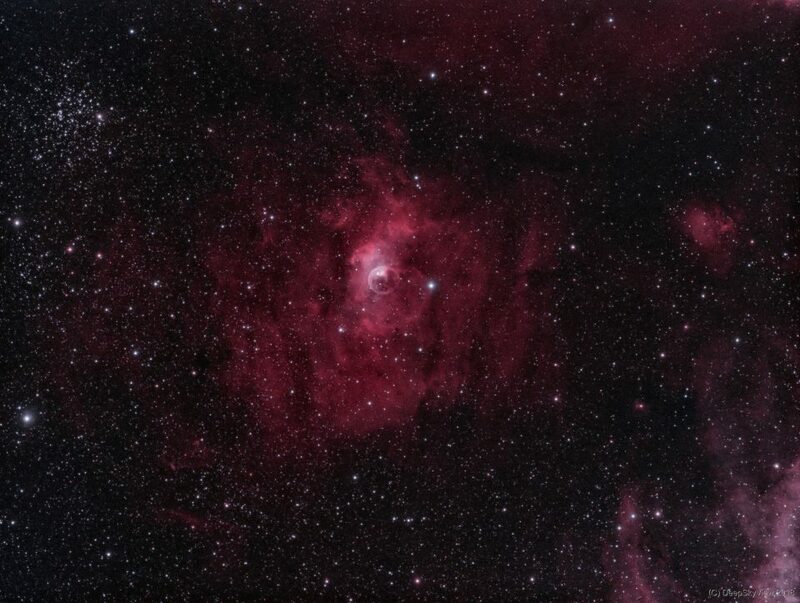 The Bubble Nebula, NGC 7635, part of a larger HII could, Sharpless 162, in the constellation Cassiopeia with the open cluster 52 in its neighborhood. The “bubble” is produced by the stellar winds from a massive young and hot star, SAO 20575, in its center. The bubble is embedded in a giant molecular cloud that contains the expansion of the bubble nebula while itself being excited by the hot central star, causing it to emit light. This image is a two-color narrowband composite using a total of 8 hours of Ha and OIII data from two consecutive nights. Unfortunately, there was not third clear night to take some SII exposures as well… I will have to try later. All data was taken from my light-polluted backyard with the APM 107/700 Triplet and the QHY 163m. 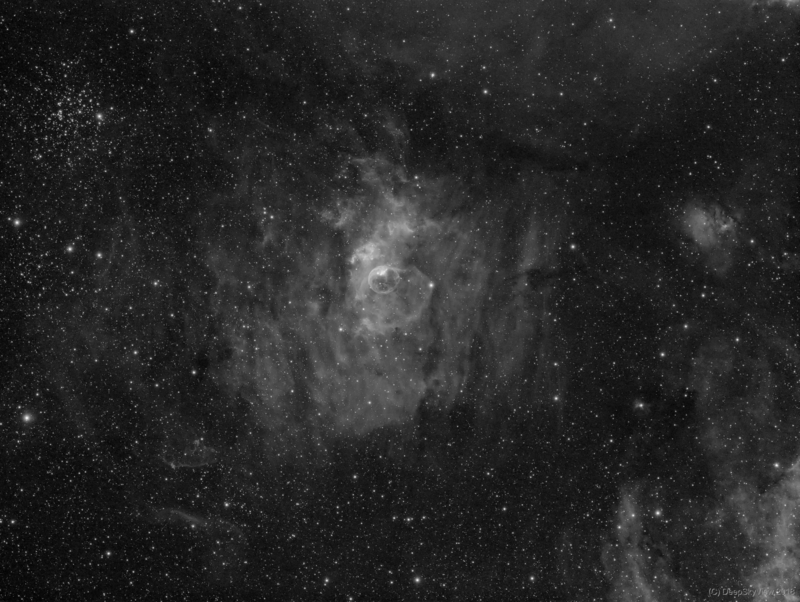 I think I settled on the combination with the Hotech SCA field flattener, which gives round stars all the way into the edges with a nice 1.1 “/px resolution, for high-resolution work. A monochrome version of the Ha data (processed separately) is show below.